Happy Thankful Thursday my friends! Whether you're celebrating Thanksgiving today, or not, I hope you have an utterly fabulous day! 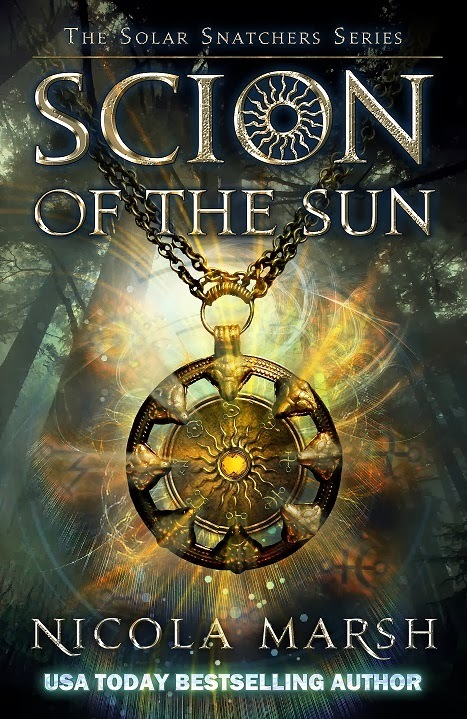 To aid in that, I'm happy to be featuring Nicola Marsh and Scion of the Sun today! Looking for your next read? Love Fantasy reads? Well then, you may have just found your new favorite read. I was lucky enough to have the opportunity to interview Nicola Marsh today as well! Please enjoy her answers below, and don't forget to add Scion of the Sun to your reading list. 1) Welcome Nicola! How about we start out by getting to know you a bit? If you had to describe yourself in a tweet (just 140 characters) what would you say? Thanks for having me. Hmm…okay, here goes: Manic Melbourne mom writing contemporary romance, YA & NA, loves chocolate, books, boots & her boys. Researching hot guys a given. 2) I read in your profile that you write for both adults and young adults! Do you find one easier than the other? Is one a favorite over the other? I love mixing it up, switching between YA and adult fiction, but I have to say the contemporary adult romance comes easier. It’s fun writing naughty stuff! 3) Where is your favorite place to settle in and write? My office late at night. The rest of my household is asleep, it’s blissfully silent and I can settle into ‘the zone’. 4) If we were to look at your to-be-read pile right now, what is sitting on top and waiting to be enjoyed? Yikes! My TBR pile is enormous. And never seems to dwindle no matter how much I read (probably because I keep buying new books!) I have several of Claudia Gray’s YA series waiting to be read, along with Anything But Vanilla by Liz Fielding, Breathe for Me by Natalie Anderson and The War Bride Club by Soraya Lane. So many books, so little time! 5) Final question time! I always love to make this one a challenge, so away we go! You wake up one morning to find that you've become a character in your favorite novel! What character are you, and who is playing the other leading roles? I’m Hermione in the Harry Potter series. Daniel Radcliffe can still be Harry because he IS Harry to me.